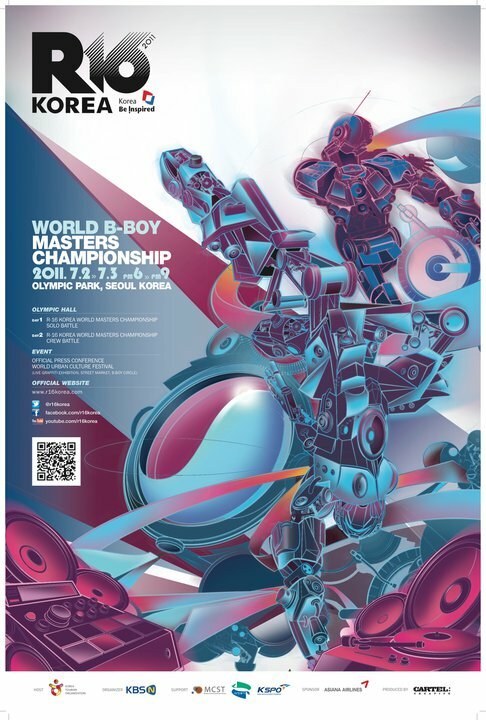 It is no surprise that R-16 ambassador, Tiger JK, will be performing at the R-16 B-Boy Championship finals, but no one could have expected he would bring the whole Sunzoo crew with him. R-16 will be holding their finale on July 2nd and 3rd at Olympic Hall (Olympic Park), Seoul. On Day 1 (Saturday), Jay Park and AOM Crew will commence the first day of competition. Day 2 will feature The Sunzoo Project: Tiger JK, Yoon MiRae, DJ Jhig, Roscoe Umali, Stlyliztik Jones, and !llmind. This will be the first time the crew will be performing their songs on stage. DIRECTIONS: Take Line 5 (Dark purple) towards Macheon Station (Line 5 splits into 2 lines so this step is very important). Get off at Olympic Park station, Exit 3. Make a right and go straight until you see a parking lot across the street. Cross the street into the parking lot and follow the signs for Olympic Hall. There should be booths in front of the venue. Alternative directions are on the map below. Best of luck DT, and to all of the Movement Crew! !